The United States government provides a wealth of research, educational initiatives, and information on health topics through a variety of health agencies including the CDC, the NIH, HHS, and more. These valuable resources generally provide reliable information on conventional medical treatments. www.ahrq.gov – a division of the Department of Health and Human Services (HHS), the AHRQ provides research and data on health care issues in the country. www.cdc.gov – The National Center for Chronic Disease Prevention and Health Promotion – this group provides public health and safety information and initiatives. www.clinicaltrials.gov – a database of clinical trials. Although many of these research trials are on conventional medications, some are testing herbs and nutritional supplements. Use the “Studies by Topic” to locate these studies. www.thecommunityguide.org/index.html – a service of the Centers for Disease Control and Prevention (CDC) providing information on public health initiatives that are effective within the community. www.health.gov – a portal site from the National Health Information Center (NHIC). It provides links to a Quick Guide to Healthy Living and a variety of the government’s other health resources. There is also information on health literacy, e-health and health communications, along with “health widgets”. http://www.healthfinder.gov – coordinated by the Office of Disease Prevention and Health Promotion (ODPHP) and its health information referral service. The site is a consumer-friendly resources including health advice, tools, and the latest health news. www.hospitalcompare.hhs.gov – a site from the U.S. Department of Health & Human Services that provides hospital rankings. medlineplus.gov – from the National Institutes of Health, the site provides detailed information for patients on medical treatments, drugs, supplements, and more. There are also educational videos and interactive tutorials. www.ncbi.nlm.nih.gov – for true science fans, this site has the latest information on genetics, biotechnology and the human genome. www.guideline.gov – a project of the AHRQ providing evidence-based clinical practice guidelines. www.nih.gov – the nation’s medical research agency. This site serves as an umbrella for the many other websites and health agencies. 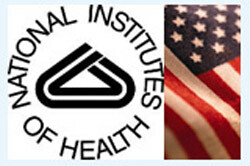 The subsection health.nih.gov provides links to numerous health topics. www.womenshealth.gov – a comprehensive, consumer-friendly site specifically addressing women’s health issues. http://www.couldihavelupus.gov – information and resources on lupus from the Office on Women’s Health (OWH). www.cancer.gov – A division of the NIH, the NCI provides information on cancer treatments, research, clinical trials, and cancer statistics. www.niaid.nih.gov – research and information on infectious disease such as HIV/AIDS, Lyme Disease, along allergic diseases such as food allergies and airborne allergies. http://www.niams.nih.gov – offers information and research on treatment and prevention of arthritis and musculoskeletal and skin diseases. www.diabetes.niddk.nih.gov – information on diabetes including education, clinical trials, and statistics. http://digestive.niddk.nih.gov/index.aspx – provides reports and detailed info on digestive diseases such as Celiac Disease. http://win.niddk.nih.gov – information and resources on weight control, obesity, physical activity, and nutrition for consumers and professionals. www.nimh.nih.gov – resources for the many mental health issues prevalent in the country including anxiety, OCD, panic disorder, Post-Traumatic Stress Disorder (PTSD), depression, eating disorders, and more. http://www.niams.nih.gov/Health_Info/Bone/ – a project of the NIH, the site provides information on improving bone health, Paget’s disease, and osteoporosis.